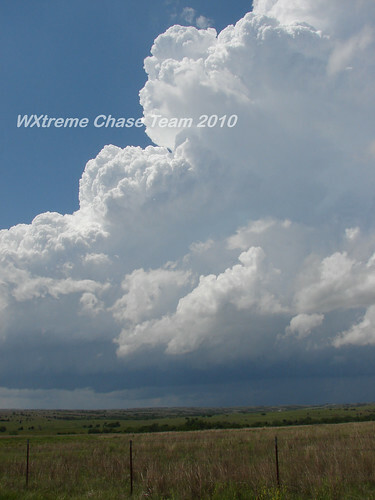 The WXtreme Chase Team began the day in Cordell and moved on toward Sayre when towering cu began to show up on satellite just across the border in the Texas panhandle. 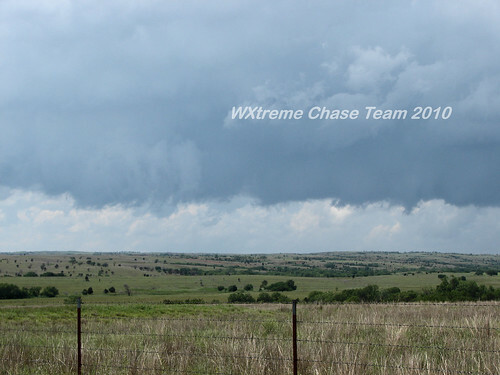 After watching some towers attempt to go up, we moved back east to Elk City and headed north on SR 33 to intercept a storm developing near Arnett. We set up about a mile W of 33 on SR 47 south of Leedey to watch the storm develop. 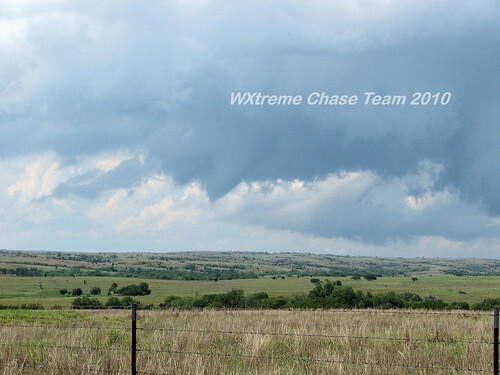 and a funnel cloud quickly developed. 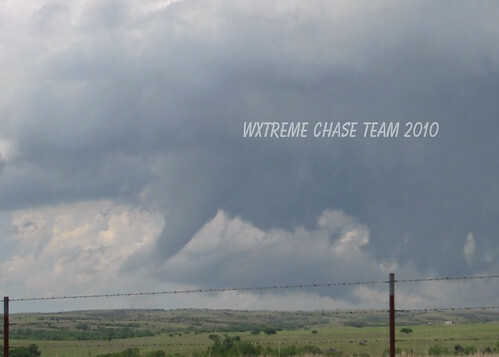 Our first tornado of the day touched down WNW of Leedey at about 3:23 pm. After it dissipated we proceeded E on SR 47 toward Putnam, witnessing a brief cone tornado in a second area of rotation to our N along the way. After watching the storm go very HP we followed it E for a bit and broke off at Fay to head further S toward developing convection on the dryline. We took a short break and fuel stop in Weatherford and drove E toward El Reno and exited S to intercept a storm that was developing SW of Anadarko. We picked up the storm near Chickasha and as we tracked it toward Purcell it went tornado-warned and we observed a couple of brief funnel clouds. After watching it go rain-wrapped while approaching Slaughterville we broke off to head toward a third supercell that was N of Duncan. 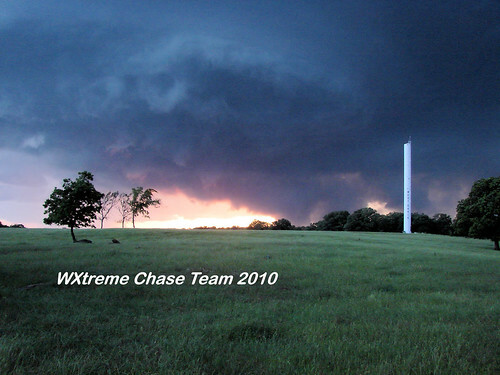 Traveling down I-35 a beautiful spaceship updraft base came into view SW of Pauls Valley and we exited on SR 29 and turned onto Meridian Road driving just far enough south to be safely clear of the developing wall cloud. 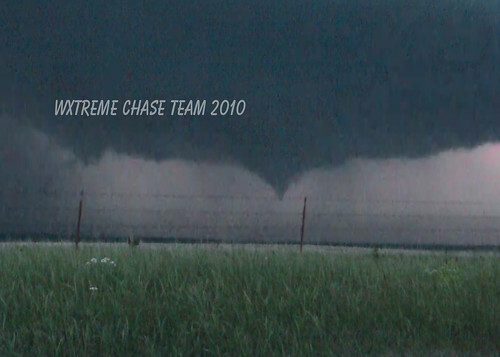 As the meso approached us it began to rotate rapidly. The signature waterfall sound of a circulation on the ground became apparent and grew louder. 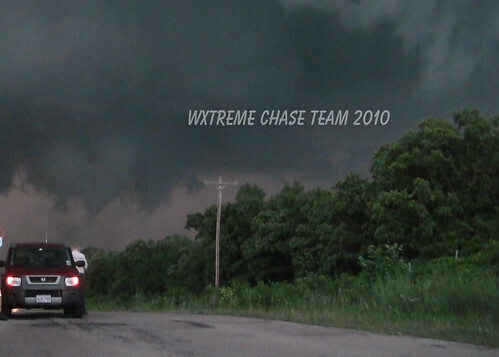 As the rotation crossed Meridian Rd at about 8:30pm a tornado condensed quickly with attendant power flashes. and became an impressive multi-vortex beast. 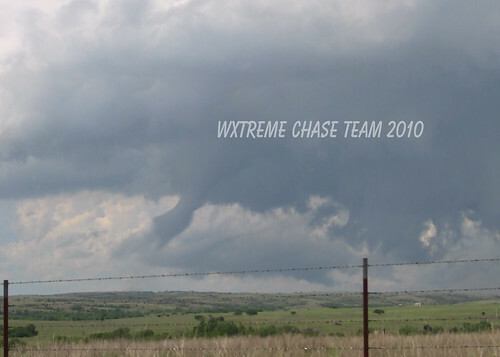 For us, the tornado of the day. 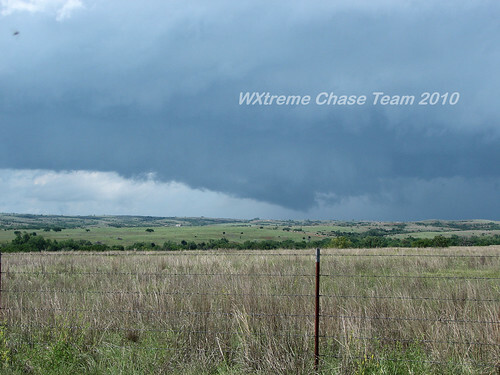 The tornado went behind some trees and was no longer visible after a few minutes so we headed S to SR 7 and continued to observe the tornado about 7 miles to our N as we paralleled the storm heading east. 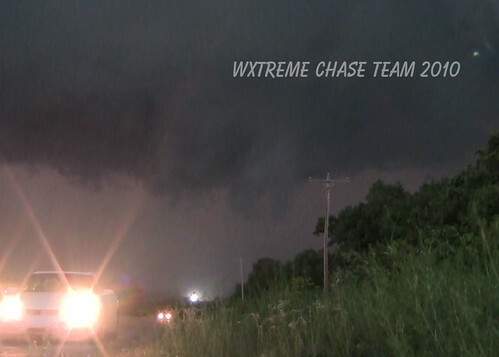 After stopping to film a bit more near Davis we stayed with the storm until just outside of Sulfur at which point we broke off the chase and returned to base.